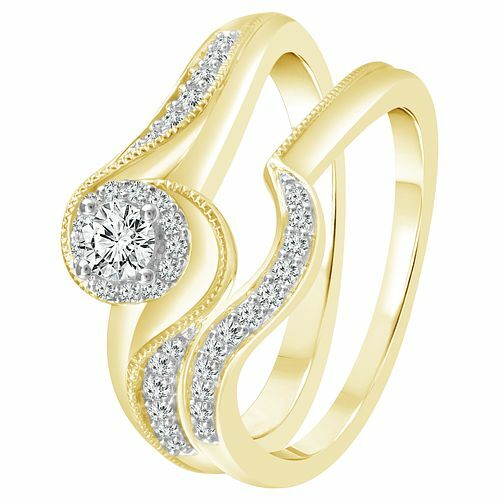 This uniquely crafted 9 carat yellow gold Perfect Fit bridal set is emblazoned with diamonds in an elegant twisting halo formation around a stunning solitary centre diamond. More round cut diamonds are set in the wedding band in a twisting design, to give the perfect amount of sparkle. Perfect Fit bridal sets ensure that both of your rings will set together perfectly. This bridal set has a total diamond weight of 1/3 carat.